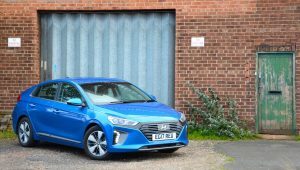 The Hyundai IONIQ Plug-in Hybrid has an official economy figure of 256.8mpg, and we recorded a highly impressive real-life 77mpg on a 170 mile motorway drive. 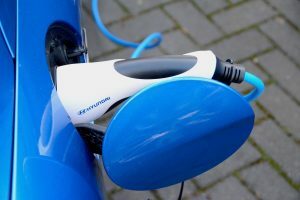 Car manufacturers are on a trajectory towards hybrid and electric cars. Hyundai is ensuring that it is ticking these boxes by bringing out the IONIQ with Electric and Hybrid powertrains, which we’ve already tested, and now we have the Plug-in Hybrid. The Toyota Prius has been the poster child for hybrids over recent years, does the Hyundai IONIQ Plug-in Hybrid deserve to steal Toyota’s crown? The Hyundai IONIQ Plug-in Hybrid has a 1.6-litre petrol engine together with an electric motor (attached to the dual clutch transmission (DCT)) powered by a battery. 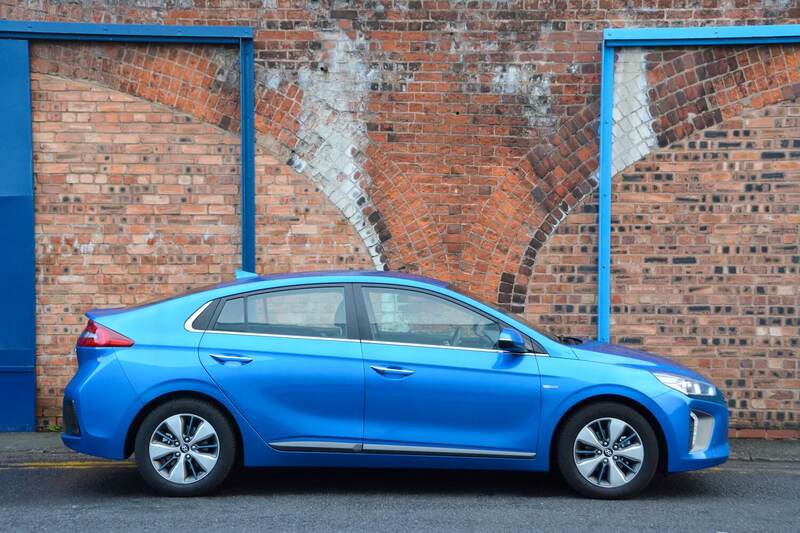 As opposed to the IONIQ Hybrid, you can charge the Plug-in Hybrid from the mains, which gives you an excellent driving range on electric power. 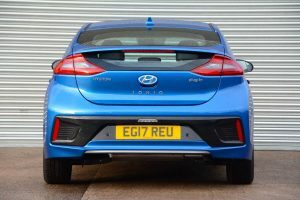 The exterior design of the IONIQ will seem familiar to anyone who is aware of the Toyota Prius or Honda Insight, as the shape is dictated by efficiency in the wind tunnel (the IONIQ has an excellent drag coefficient (Cd) of just 0.24). 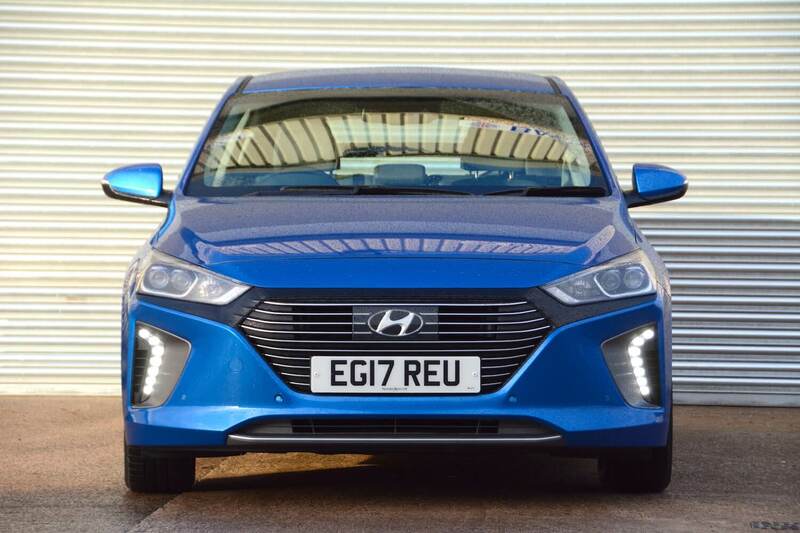 Unlike the all-electric IONIQ, the Plug-in Hybrid model has a radiator grille at the front, rather than the ‘blanked off’ grille which is the only element of the IONIQ Electric that doesn’t work that well. So we think the exterior looks fine, and the same applies to the interior. 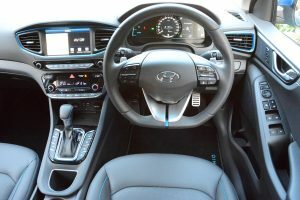 As with most Hyundais, the interior is very functional with clear switches and instruments, but in addition it appears to have received a bit more creative design attention than is sometimes the case with Hyundai and Kia. The driver and front passenger also have two USB sockets, two Aux sockets, and two 12V sockets. The only real complaint is the parking brake, which is operated with your left foot. The boot is quite long, but very shallow, thanks to a high boot floor and a low rear window (which also impacts on visibility through the rear mirror). The IONIQ offers most drivers the ability to find a good driving position. In terms of driving modes, there’s a switch for EV or HEV. EV is designed to keep the car on electric power, and HEV allows the car to switch between petrol and electric modes. This sounds sensible, however the petrol engine started up in EV mode – on a number of occasions. Switching off all heating and ventilation seemed to solve this issue in most cases. 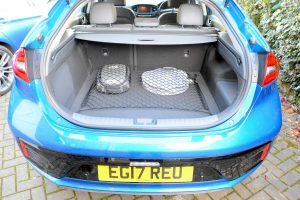 However it would be good to be able to lock the car in electric-only mode to prevent the petrol engine kicking in due to the heating system, as well as under acceleration. 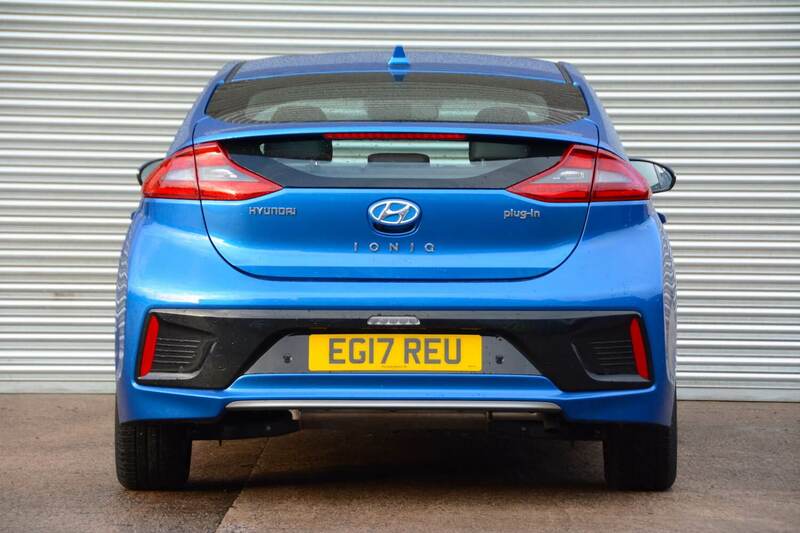 The IONIQ’s ride is generally acceptable, although it’s slightly on the firm side of comfortable. Handling is good, however it’s very obvious that this is a front-wheel drive car, as there isn’t much grip from the front tyres when, for example, accelerating out into a gap in traffic from a side road in the wet. In such circumstances the traction control can be keen to cut power. You can disengage the traction control, however wheel spin and understeer on wet roads can then be somewhat excessive. Rather than having a CVT gearbox, as is the case with most hybrids, the IONIQ has a 6-speed dual clutch transmission, with the ability to change gear with the steering column-mounted paddles. We’re not fans of CVTs so this is welcome news, however at times even this automatic gearbox resulted in the car feeling revvy, and some changes weren’t quick or smooth enough. Apart from such occasions, the IONIQ is reasonably quiet when the petrol engine is operating. However the car is at its best when driving in electric mode. When you start the IONIQ its default mode is Eco. To select Sport, you pull the gear selector to the right. Eco mode results in the car’s responses being dialled down, but in Sport mode things get revvy, and the traction control can grumble about the torque delivery. Unlike most cars with driving modes, there’s no ‘Normal’, and we’d suggest that this is needed, as a halfway house between unresponsive and revvy. So power seems to be either on in Sport or off in Eco, and the traction control seems to be either on or off – a midway option for both would be good. The IONIQ’s steering has more feel than you might expect, although it’s vague around the straight ahead. The IONIQ’s interior looks good but it’s also functional, and we particularly like the fact that there are physical buttons underneath the touchscreen for all of its main functions. There are various displays relating to powertrain economy and range, either in the main instrumentation or in the touchscreen, but quite a lot of button pressing can be required to access the information that you want, such as remaining battery range. Despite these details, overall the Hyundai IONIQ Plug-in Hybrid is perfectly fine in everyday driving, but with the interplay of the petrol engine, the hybrid system and the transmission, it’s not the most seamless, direct or satisfying of driving experiences. 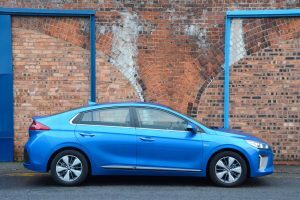 This is in contrast to the IONIQ Electric, which is more direct, and as a result is excellent to drive. The official NEDC economy figure for the Hyundai IONIQ Plug-in Hybrid is 256.8mpg. This sounds crazy, and it is, because it completely depends on how much driving you do on electric power. However, lots of plug-in hybrids have a very short battery range, and they aren’t efficient when driving on the petrol engine, so as a result they have terrible real-life economy over long distances. This is one area where the IONIQ Plug-in Hybrid has a clear advantage over other plug-in hybrids. The IONIQ’s official battery range is 39 miles. 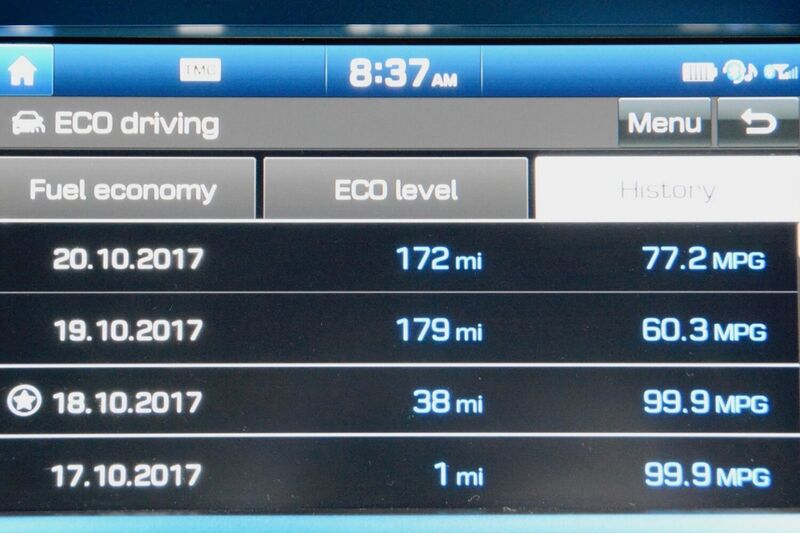 This is excellent, and every day the real-life range was displayed consistently as 37 miles – which it achieved in actual driving. So 100% of local driving was done on electric power, resulting in zero use of petrol. 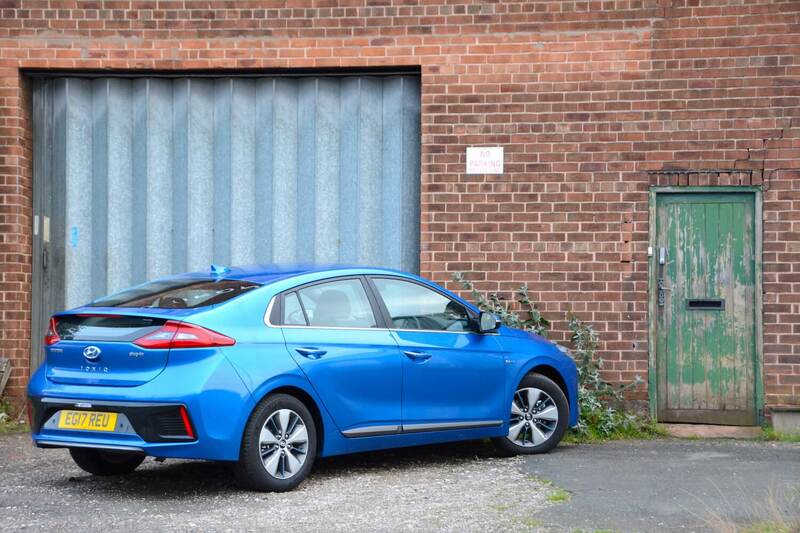 And then when the IONIQ was used for a trip from Manchester to Milton Keynes and back, it achieved an excellent 60.3mpg on the way down at an average of 70mph, and an incredible 77.2mpg on the way back at an average of 55-60mph (due more to traffic conditions than eco-driving) (these two results were recorded in the touchscreen data). The car was fully charged at the start of the journey, and it covered 351 miles with no further charging. 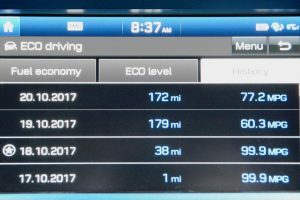 Another fuel economy result on the screen shows 99.9mpg for a journey of 38 miles – in other words pretty much the full electric range. It’s very strange that the car only records a maximum of 99.9mpg when it has an official fuel economy figure of 256.8mpg. Overall, after a week with the car, with around 80% of mileage being long journeys, we achieved an average of 70.6mpg, which is excellent. 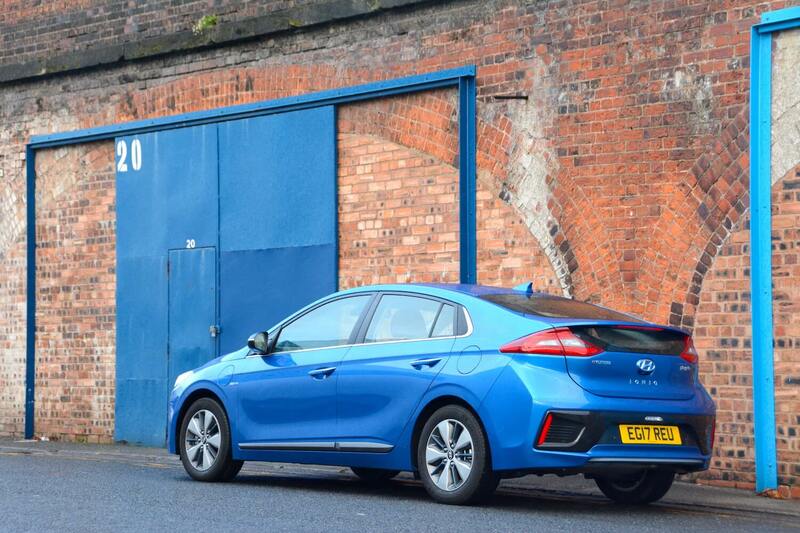 It’s also amazing as it exactly matches the official extra urban fuel economy figure for the IONIQ Plug-in Hybrid. 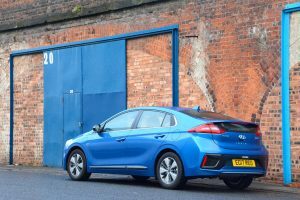 The official driving range of the IONIQ PHEV is also really useful, being in excess of 660 miles – and certainly over 500 miles in real-life on our test. The IONIQ can be fully charged in 2 hours 15 minutes from a wall box, or around 6 hours from a standard household socket. 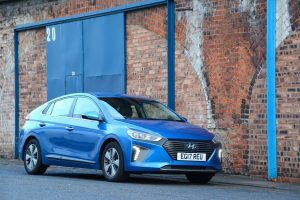 The price of the Hyundai IONIQ Plug-in Hybrid Premium SE is £26,795. With options, our test car cost £29,860. Prices start at £24,995 for Premium spec – the only other trim option for the IONIQ Plug-in Hybrid. The Hyundai IONIQ Plug-in Hybrid is an excellent car from an efficiency point of view. Thanks to the impressive real-life electric driving range of 37 miles, we completed 100% of local journeys completely on electric power. And then averaging 77mpg over a 170 mile motorway journey – in other words primarily using the petrol engine – is quite outstanding. The Hyundai IONIQ Plug-in Hybrid is also perfectly easy to live with in everyday life and would meet the needs of many drivers. 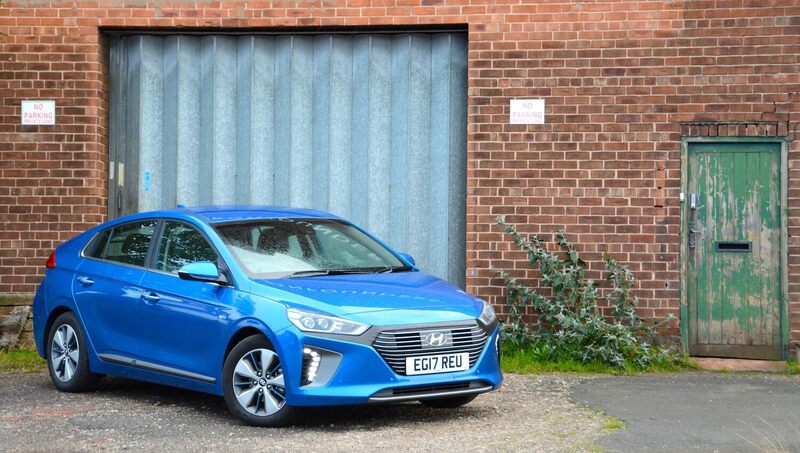 Although we had a number of minor observations, our main issue with the car is that it doesn’t cut it as a driver’s car, and that drops it one mark in our rating system, so the Hyundai IONIQ Plug-in Hybrid ends up with a Green Car Guide rating of 9 out of 10. Should you consider this rather than a Toyota Prius? Yes, as it compares favourably with the Prius in most areas, and the IONIQ doesn’t polarise opinion in the area of styling like the Prius does. A very good first effort from Hyundai.